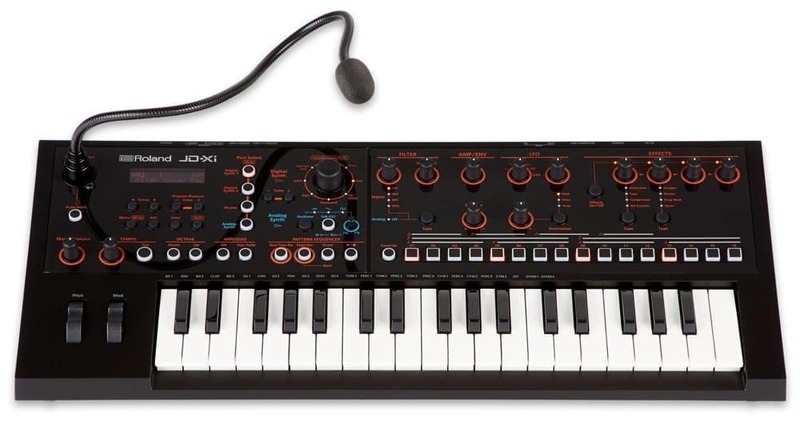 In this article, I’m going to review the Roland JD-XI synthesizer, dissecting this instrument’s build and design, sound quality, effectiveness when in use and overall usefulness when factoring in its price of roughly $500. 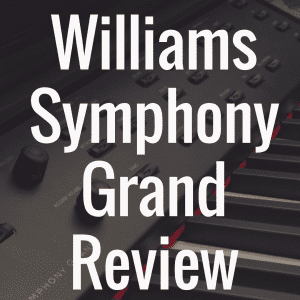 Throughout the review, I’ll also compare it to a few other notable synths that are on the market, including the Roland Gaia, Moog MiniMoog, Korg Minilogue, and the Roland JD-XA. And in order to better help you, I’ve put together an interactive table below that will allow you to compare the Roland JD-XI to some of the synthesizers I’ve mentioned above based on categories like price range and special features. Though some might say that looks don’t mean much, I think part of the marketing of a great instrument is of course how it appears visually, even though any aesthetic plays second fiddle to its actual sound. With that in mind, the Roland JD-XI looks clean, with its shiny black top panel juxtaposed against the lights of its buttons. The spacing of everything looks and feels quite intuitive. 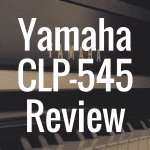 It is an instrument designed for anyone, from beginners to veteran players. Compared to its competitors, save the JD-XA—which is like the JD-XI’s big brother—it is more versatile in the sense that it can meet a broad range of players’ needs. At first touch, I felt the buttons were top notch. The smaller knobs glide, making it very easy for one to control. The only knob that bothered me was the main selector, which required more strength than normal to switch. I also found that it clicked quite loudly. The pitch wheels were decent, though I have felt better. In this sense, I think the JD-XA and the Gaia beat out the JD-XI. But this is of course all superficial nit picking, though it is admittedly one of the many things you must do when determining the value of a purchase. You can read our review the Roland Gaia SH-01 right here. 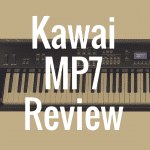 Now let’s get into a real make or break aspect of this review—the JD-XI’s features. 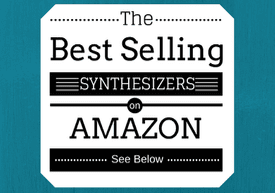 But before we do that, please take a moment to view some of the best-selling synthesizers currently on sale at Amazon. Besides the JD-XA and the Moog MiniMoog, the other competitors also have 37 keys. However, the JD-XI has micro keys, which I am not really a huge fan of. I personally prefer full sized keys, and I think anyone who has larger hands or bigger fingers would also prefer full-sized keys, as well. In comparison to the other models, the JD-XI is the only one with a pitch bend and a modulation wheel besides the Moog MiniMoog, which has two as well, however I am more of a fan of the JD-XI’s modern feel. The Moog MiniMoog is for the synthesizer connoisseurs that want that vintage feel. The other competitors have more features built into their controllers, but the JD-XI is simple and perfectly adequate, in my opinion. As for on board programs, the JD-XI stacks up well against the Korg Minilogue, which as 200 (100 user, 100 preset). Just like its bigger brother the JD-XA, it comes packed with 256 programs that fill out 4 different parts: 2 parts digital synth, 1 part drum, 1 part analog synth. It is safe to say this little synth packs quite the punch when it comes to sound versatility. One area where the JD-XI stands firm is with its 64-voice digital polyphony. Though it has 4 voice polyphony on the analog side of things as does the Korg Minilogue, it stands on par with the more expensive models like the Gaia and the JD-XA. That says a lot considering the JD-XA is nearly 4 times the price as the JD-XI depending on where you buy the instruments. This may seem repetitive, but again, besides the JD-XA, which is just the JD-XI but upgraded and bigger, the JD-XI comes with a good selection of effects. The JD-XA has these, and then some, while the Gaia is limited to only one reverb option. So, I think it’s safe to say, as far as features goes, the JD-XI is pretty on point with the competition. But at the end of the day, an instrument can have all of this, yet still fall short in one department—sound. So let’s dive into the discussion of sound and figure out which of these synths is the cream of the crop. Also, if you’re interested, you can read our review of the Moog MiniMoog Model D here. I am always amazed at how such small instruments can produce so much sound, particularly Roland models. Though there’s always going to be a debate when it comes to synths like the JD-XI, overall, Roland is a respected company that has certainly made a name for itself in the world of sound and music. So, when it comes to sound, the JD-Xi is versatile to say the least. From producing dance electronic beats with clear sounding synth sounds to fat leads, this is a synth that doesn’t disappoint. What is important to note about the JD-Xi is that it is a crossover model, which means that it is part digital, part analog. And let me tell you, you can tell with the sound. Of course, nothing will really compare to the real thing, such as the Moog MiniMoog, but the JD-Xi offers best of both worlds. It fuses the old with the new in a stellar way. In comparison to the Moog MiniMoog and the Korg Minilogue, which are more on the analog side of things, the JD-Xi can do a good job at hanging, but like I said, nothing really trumps the real thing. In comparison to the Gaia though, I think the JD-Xi is better for the price. The JD-XA would be your next step up from the JD-Xi if you have the cash to throw down on it (we’re talking close to $2,000, FYI). 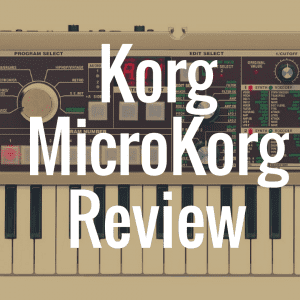 You can also read our review of the Korg Minilogue here. One thing I like about Roland is that they include the high-speed USB option so you can connect with your computer. The Minilogue only has a USB type B slot and the Moog MiniMoog of course doesn’t have it since it is closer to the vintage analog style. The other Roland models, though more expensive in price, have for the most part the same connectivity capability. However, the Gaia also has PEDAL jack (TRS phone type), USB MEMORY (supports USB 2.0 Hi-Speed flash memory), EXT IN jack (Stereo miniature phone type). The JD-XA has analog dry output jack: 1/4-inch phone type, click output jack: stereo 1/4-inch phone type, mic jack: combo type (XLR, 1/4-inch TRS phone), balanced, foot pedal jacks (ctrl 1, ctrl 2, hold), and cv/gate output jacks (2 systems): miniature phone type. In this case, as you pay more money, the more connection options you will get. Depending on where you go, or what website you shop on, the price for the JD-Xi might change. However, if you shop around well, you should be able to find it for anywhere from $450 to $500. The Minilogue is not too far off in price, as well as the Roland Gaia. The two that are way out of the ballpark are the JD-XA and the Moog MiniMoog, which is the most expensive one of them all. The JD-XA can go for about $1,799 online, while the Moog MiniMoog Model D has that beat by about $1,000—meaning you can find it for almost $3,000 online. Another idea, of course, is to seek out used Roland synthesizers. 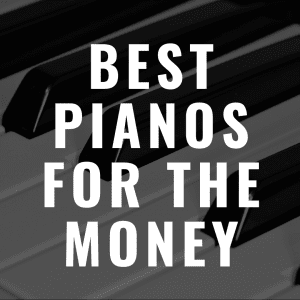 Just do your best to ensure that the synth is is good working order before you pay for it. In the end, your likely going to be happy with whatever option you go with. But, if you want a cheaper synthesizer that comes from a reputable company, I think the Roland JD-XI is a great option to begin with. 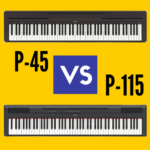 Analog Synthesizers vs Digital Synthesizers: Which is Better?